With the backing of our diligent executives, we are readily engaged in presenting Vertical Blind Installation Service. Provided services are rendered underneath the supervision of skillful and competent workers. These services are enormously in demand across the country for their client-centric approaches, promptness and flexibility. Backed by our team of adept designers, we offer vertical blends in variety and have installed them in homes, offices, showrooms, hospitals etc. These are available in rich variety of colors and patterns in order to meet the client's exact requirements. 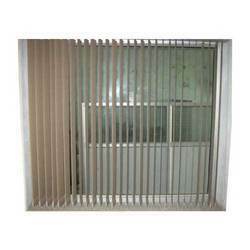 Captivating on the skills of our professionals, we are involved in rendering Window Blind Installation Service. We are offering Window Blinds Installation Services that is undertaken by our team of experienced professionals. These vertical blinds are sourced from reputed manufacturing companies. 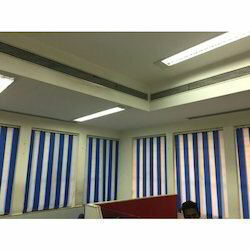 Our blinds are commonly used in offices, conference rooms, homes to diffuse light and secure the privacy of a room. Note : We are majorly looking queries from Delhi NCR Only.